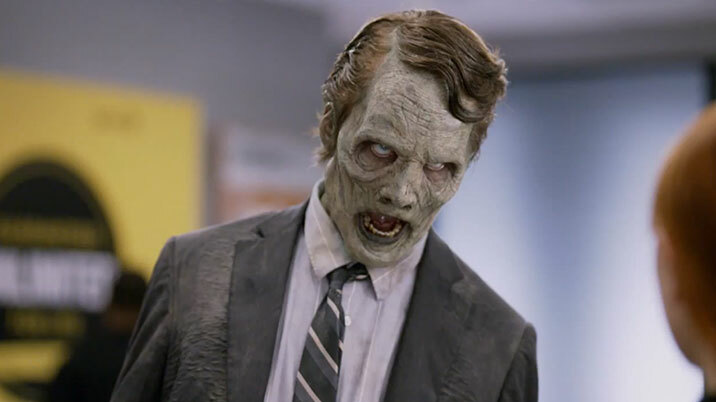 Did sprint steal their rotting-flesh-zombie commercial from God? Then his ear drops off. It’s right out of Zechariah. Here it is: Zechariah 14:12 (NLT) And the LORD will send a plague on all the nations that fought against Jerusalem. Their people will become like walking corpses, their flesh rotting away. Their eyes will rot in their sockets, and their tongues will rot in their mouths. Now that’s not a verse you will find on the First Baptist church marque. Why not stick the reference on the bottom of your next birthday card and see if anyone looks it up? Am I reading this wrong, or does the LORD send a zombie plague on a bunch of people who fought against Jerusalem? Is the coming zombie apocalypse something sent from God to stop the bad guys? If that is true, it would mean that Jesus loves His followers enough to return to rescue all those who believe in Him, that He keeps His promises, and that He is powerful enough to defeat entire modern-day armies with a simple plague. But who cares? We want zombies. And it sounds like here we have them. But what I want to know is. . .
Was it a Dream, or Not? I have an odd image of Jesus dressed as Bruce Campbell wielding a chainsaw and a shot gun….